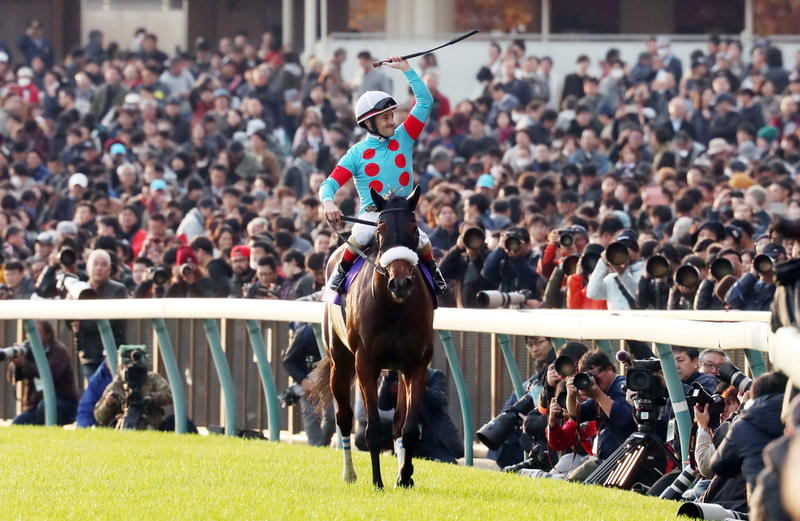 Japanese Triple Crown winner Almond Eye, who showed the world her prowess in the Dubai Turf in Meydan at the World Cup meeting last month, will opt to skip Europe's most prestigious race later this year - the Prix de l'Arc de Triomphe. An impressive winner in the Group One showpiece in the middle-east, trainer Sakae Kunieda had indicated the four-year-old would be targeted at a crack at France's end of season highlight, where she could have clashed with dual winner of the contest Enable. However, Silk Racing; the owners of Almond Eye, released a statement on their website on Wednesday stating their decision to sidestep the Arc, which was made in accordance of considering multiple testing factors. This included her most recent trip to Dubai and the effects it has left on her physical state. Long journeys from her home in the far-east were also said to not become frequent. Concerns over the ground in the Autumn were also voiced and noted, with four of her six Group wins officially coming on ground described as firm and no worse. Masafumi Yonemoto - Silk Racing's representative director said: "We are very sorry that we are not able to meet your expectations. "We have to judge it is not the best race selection for her in view of the conditions such as environmental adaptation, the race itself, the care environment after race, and long-distance transportation." As a result of the filly's exclusion, John Gosden's star Enable has been cut to 7/2 from 5/1 to make history and become the first hat-trick winner of the great race. Last year's runner up Sea Of Class is next best at 5/1, with the market suggesting the Brits are going to be well to the fore once again in the French highlight. Magical - second to Enable in the Breeders Cup, looks the best of Ireland's chances at this very early stage, but with virtually the entirety of the flat season ahead of us, that could all change and we could see a star emerge from France or another foreign country. The Aidan O'Brien four-year-old; also a winner on British Champions Day in the Fillies and Mares Stakes, made a perfect reappearance at Naas on Saturday in the Group Three Alleged Stakes.